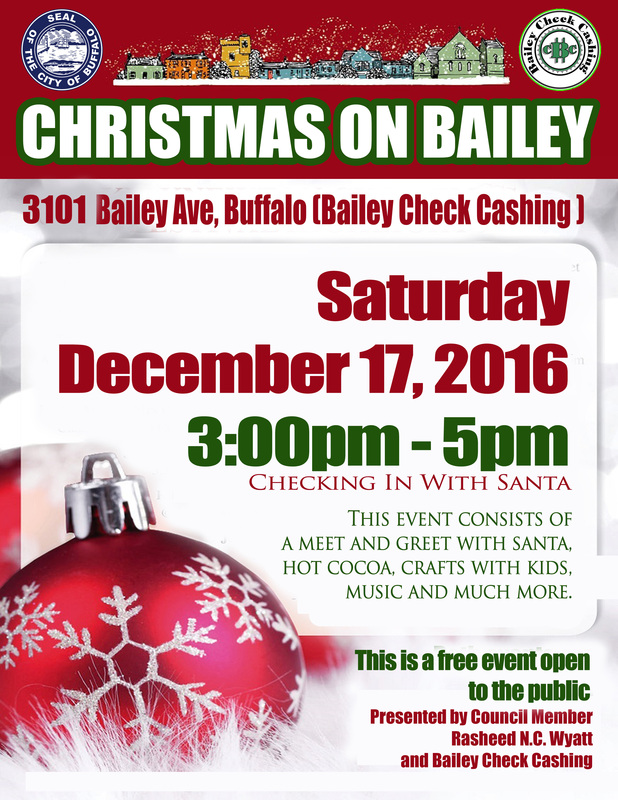 A friendly reminder that Checking In with Santa Claus is this Saturday, December 17th from 3:00PM – 5:00PM at Bailey Check Cashing, 3101 Bailey Ave. Bring your children, share with your neighbors, friends and anyone who would be interested in this free event. There will be pictures with Santa Claus, cookies, hot cocoa, arts and crafts. Come out and enjoy the festivities!